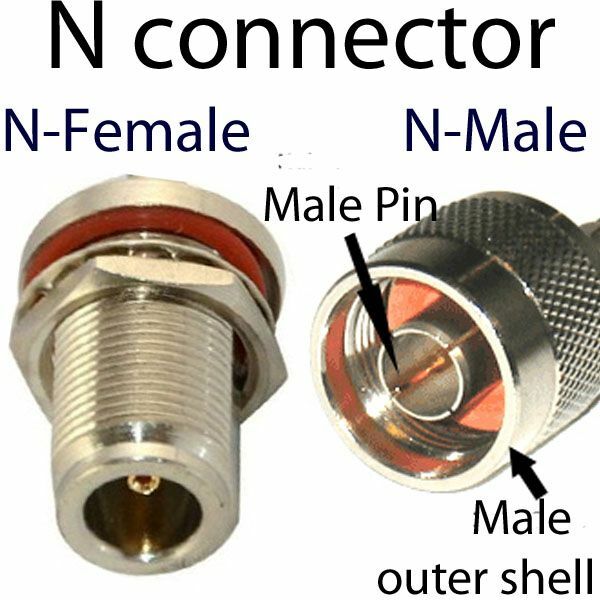 Antenna Cable: BNC female connector (with bulkhead and o-ring for waterproofing), to U.FL female right-angle connector. 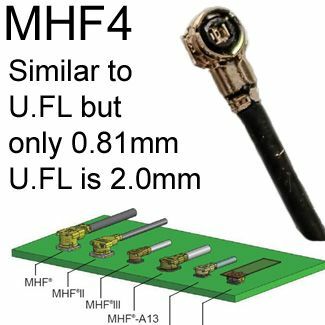 Connectors are right-angle type (as in the photo), which is the most standard/typical form for MHF4 and U.FL connectors. Cable type is RG174 (50 Ohm): This is a thin and flexible cable, with a black jacket. When connecting U.FL connector to a jack on a miniPCI card or board, often the tight space requires the use of 1.13mm cable, because it is very thin and flexible. The very thin cable is typically needed in tight spaces inside of enclosures, so that the U.FL connector will snap down on the jack without popping off (more about this). 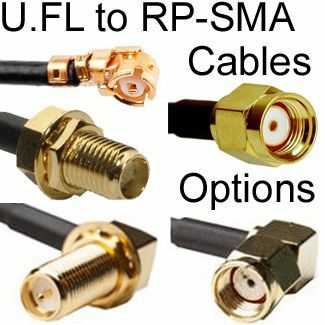 Unfortunately we cannot make this antenna cable with a thicker, double-shielded low-loss cable, because the U.FL connector is so small. 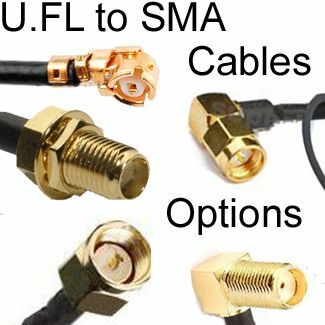 Our BNC and U.FL connectors are precision machined in ISO 9001 facilities and gold-plated for low loss. These BNC to U.FL cables are impedance matched to 50 ohm cables. BNC connectors connect with a half-turn. 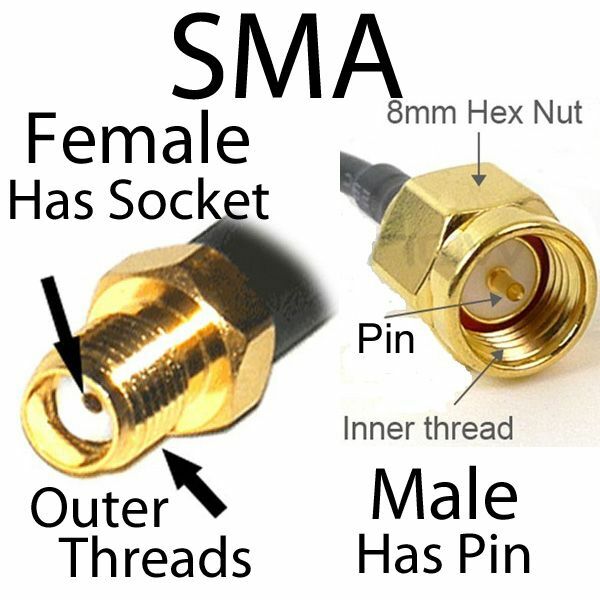 Gender is determined by the inside wire - not the outside connector. 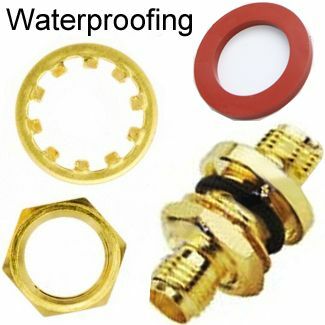 BNC is a Round connector with sloted mating collar. Quick-disonnect connector for coaxial cable: It is not only used for Wireless Antenna extensions, but also for video, audio, and networking coax applications. 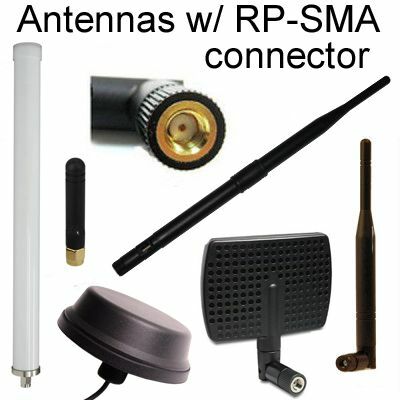 ROHS compliant: The cable and connectors are all lead-free and ROHS compliant. 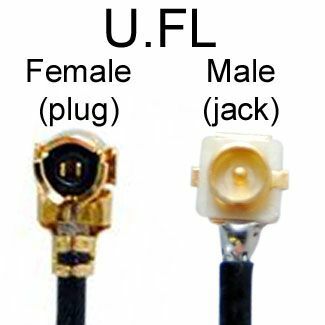 GENDER DETERMINATION: MHF4 and U.FL jacks on a board (PCB) are the male MHF4 or U.FL, and the connector that mates with the jack is the female. 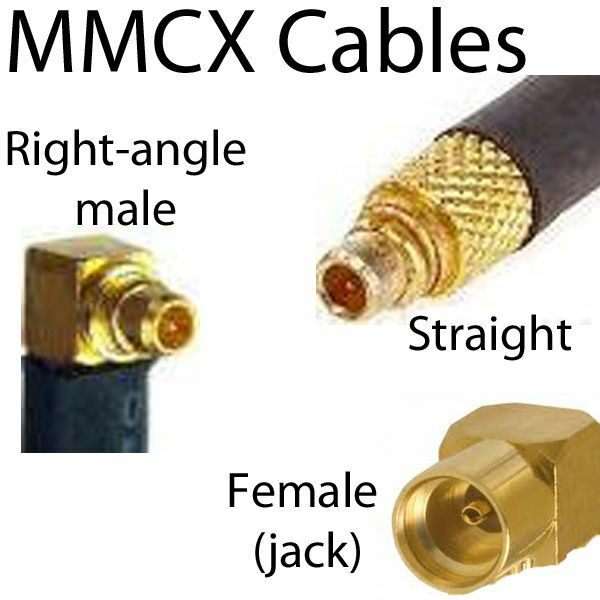 Micro-connectors such as MHF series and U.FL have gender that is counter to typical RF terminology for gender, in that "jack" is more typically synonymous with "female."